1856-O $20 -- Repaired -- PCGS Genuine. XF Details. Variety 1. Branch mint gold specialist Doug Winter notes, "The 1856-O is the rarest New Orleans double eagle and the rarest gold coin struck at the New Orleans Mint." Its series-low mintage of 2,250 pieces certainly bears that statement out and population data from the leading grading services confirms the extreme rarity of the issue. PCGS and NGC have combined to certify 26 specimens in all grades, including an unknown number of resubmissions and crossovers (3/18). Two of the known pieces are included in the National Numismatic Collection at the Smithsonian Institution, forever out of reach of collectors. We have compiled a roster of the 25 examples known to us below, including the present coin, which is a new discovery and is being publicly offered for the first time in this important sale. The small mintage of the 1856-O is undoubtedly due to the decline in gold bullion deposits at the New Orleans facility after the San Francisco Mint opened in 1854. The New Orleans Mint produced substantial numbers of double eagles from 1850 through 1852, struck from gold mined in the rich California gold fields and transported on a dangerous journey by sea and land to the nearest mint for coinage. The flow of gold deposits slowed considerably in 1853, however, in anticipation of the opening of the nearby San Francisco facility. Once the Western mint opened in 1854, gold deposits slowed to a trickle at New Orleans and gold coin production never approached pre-1853 levels again. The small mintage of double eagles was released into circulation at the time of issue and only a single coin was saved for numismatic purposes. New Orleans Mint Superintendent Charles Bienvenue preserved a spectacular example of the 1856-O which grades SP63 PCGS and is the only known example in Uncirculated condition today. The other coins from the minuscule production circulated widely for decades before any numismatic interest in the issue developed, suffering wear and attrition along the way. Only the most well-heeled 19th century numismatists could afford to systematically collect double eagles, as each coin had a purchasing power equal to $552.41 today, according to the Bureau of Labor Statistics. The few wealthy collectors that did assemble date runs of these coins preferred to update their collections by purchasing a gold proof set every year, as there was little interest in branch mint issues in general before Augustus Heaton wrote his seminal treatise on mintmarks in 1893. Heaton specifically mentioned the 1856-O in his important book, along with some other rare double eagles from the New Orleans Mint. He noted these coins could no longer be found in circulation, and would not be included in old-time collections offered in auctions or dealers stocks. Heaton suggested the only way to acquire an example would be to establish close contacts with bullion brokers, bank tellers, and Mint employees who had a chance to examine large numbers of old double eagles turned in for recoinage. Collecting large denomination gold coins finally became popular in this country after the Gold Recall of 1933. Most avenues for holding and investing in gold bullion were legally closed to private citizens after the recall. Astute financiers like Louis Eliasberg and Charles W. Green recognized the investment potential of holding gold coins with numismatic value, in addition to their bullion content, after the recall. Collecting double eagles quickly became popular, and the elusive nature of the 1856-O was widely recognized. Its status as a landmark rarity was quickly established. The 1856-O appeared for the first time in a numismatic auction in lot 1126 of the John Nickerson Collection (Thomas Elder, 12/1933), soon after the Gold Recall took effect. Another coin turned up in the Baltimore Hoard the following year and individual specimens have surfaced in European holdings and other unexpected hiding places down to the present day, but no large group of specimens has ever been found in any one place. 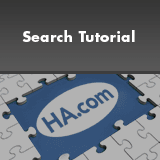 The issue usually appears at auction about once per year to year and a half in recent times. 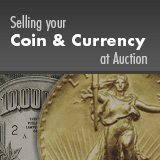 The present coin has no previous auction history we can trace. We believe it was acquired by prominent coin dealer Mike Brownlee in the 1980s and sold to the founder of the S. Gus and Louise Alexander Collection around that time. The coin was stored, along with the rest of the collection, in a safe deposit box before the collector's death in 1993. It was only discovered recently by his heirs. This piece shows a typical strike for the issue. The obverse stars and curls around the face are strongly impressed, but a little softness is apparent on the bun. The reverse is sharp in the center, with just a touch of the usual softness on the wing tips and tailfeathers. Only light wear is apparent, and the pleasing orange-gold surfaces are unusually lightly abraded. Traces of prooflike reflectivity cling to protected areas around the devices. Some minor tooling is evident in the left obverse field. The 1856-O is listed among the 100 Greatest U.S. Coins. 1. SP63 PCGS. Purchased from the New Orleans Mint at the time of issue by Mint Superintendent Charles Bienvenu; passed to Bienvenu's heirs; purchased by Marc Emory of New England Rare Coin Galleries directly from Bienvenu's family in 1979; sold by James Halperin later that year to Larry Demerer for approximately $215,000; sold to Superior for a reported $312,500 in late 1980/early 1981; The Premier Auction Sale (Superior, 1/1995), lot 1645, realized $203,500; The Eagle Collection (Heritage, 1/2002), lot 4147, realized $310,500; Long Beach Signature (Heritage, 6/2004), lot 6372, realized $542,800, Long Beach Signature Auction (Heritage, 5/2009), lot 1989, realized $1,437,500. 2. AU58 PCGS. Amon Carter Collection (Stack's, 1/1984), lot 847; Public Coin Auction (Stack's, 10/1986), lot 967, realized $33,000; James A. Stack Collection (Stack's, 11/1989), lot 1500; AWA specimen, per Doug Winter. 3. AU58 NGC. NASC Convention Auction (Paramount, 2/1965), lot 887; William Van Roden Collection (Stack's, 5/1968), lot 916, realized $6,500; James Dines Collection (Stack's, 3/1969), lot 856; Winner F. Delp Collection (Stack's, 11/1972), lot 816; James and Margaret Carter Collection (Stack's, 1/1986), lot 414; ANA Signature (Heritage, 7/1997), lot 7824, realized $80,500; Dallas Signature (Heritage, 10/2008), lot 3018, realized $576,150; Los Angeles Signature (Heritage, 7/2009), lot 1316, realized $460,000. 4. AU55 PCGS. Secure. ANA Convention Auction (Stack's, 8/1971), lot 2424, realized $5,250; Duquesne Collection (Heritage, 8/2015), lot 4452; Long Beach Signature (Heritage, 6/2016), lot 4843. 5. AU55 PCGS. Cicero Collection (New Netherlands, 12/1960), lot 10; Jack Klausen; purchased by Harry W. Bass, Jr. on June 19, 1968; Harry W. Bass, Jr. Collection (Bowers and Merena, 10/1999), lot 1711, realized $105,800; New York Signature (Heritage, 7/2002), lot 9472, realized $132,250; San Francisco Signature (Heritage, 7/2005), lot 10399, realized $431,250; Central States Signature (Heritage, 4/2015), lot 5428, realized $387,750. 6. AU53 PCGS. R.L. Miles Collection (Stack's, 10/1968), lot 839; Auction '88 (Akers, 7/1988), lot 975; Auction '90 (David Akers, 8/1990), lot 1951, realized $24,200, Long Beach Signature (Heritage, 2/2001), lot 7091, realized $94,875; Chicago Signature (Heritage, 8/2014), lot 5691, realized $425,937.50. The Winter/Crum plate coin, and the plate coin for Encyclopedia of U.S. Gold Coins by Garrett and Guth. 7. AU53 PCGS. European holding; New York Sale (NERCA, 3/1977), lot 935, realized $23,000; Baltimore Auction (Bowers and Merena, 3/2007), lot 5597, realized $356,500. 8. AU53, per Garrett and Guth. National Numismatic Collection, Smithsonian Institution. This coin was discovered in the NNC in 1984 with no record of its provenance. It was not listed in the inventory Comparette compiled in the 1912-1914 era, but it may have been in the collection for some time. 9. AU50 NGC. FUN Signature (Heritage, 1/2018), lot 5097. 10. AU50 PCGS. Dallas Bank Collection (Sotheby's/Stack's, 10/2001), lot 16, realized $92,000; Denver Signature (Heritage, 8/2006), lot 5601, realized $345,000. 11. AU50 NGC. Charles Kramer Collection (Stack's/Superior, 12/1988), lot 736; Auction '89 (RARCOA, 7/1989), lot 453; Long Beach Signature (Heritage, 1/2004), lot 7247, realized $143,750. 12. AU50 NGC. Richmond Collection (David Lawrence, 7/2004), lot 2252, realized $276,000. 13. AU50 Prooflike. Louis Eliasberg, Sr.; United States Gold Coin Collection (Bowers and Ruddy, 10/1982), lot 889, realized $49,500; Manfra, Tordella & Brookes. 14. AU Details ANACS. John J. Pittman, purchased from Ed Bell (11/27/1961); John Jay Pittman Collection (David Akers, 10/1997), lot 1134, realized $35,750; FUN Signature (Heritage, 1/2005), lot 8831, realized $138,000; Central States Signature (Heritage, 4/2014), lot 5795, realized $164,500. 15. XF45 PCGS Secure. Atlanta Signature (Heritage, 4/2006), lot 2137, realized $161,000; Chicago Signature (Heritage, 8/2014), lot 5690, realized $164,500; FUN Signature (Heritage, 1/2016), lot 5639; realized $235,000. 16. XF45+ NGC. James Bullock before 1923; Bullock's heirs; Long Beach Signature (Heritage, 9/2010), lot 5554, realized $345,000. 17. XF45 NGC. Pre-Long Beach Sale (Superior, 5/1999), lot 3766, realized $67,850; FUN Signature (Heritage, 1/2014), lot 5518, realized $318,875. 18. XF45 PCGS. 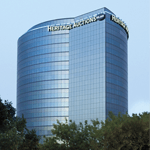 FUN Signature (Heritage, 1/2009), lot 4131, realized $276,000; Los Angeles Signature (Heritage, 7/2009), lot 1315, realized $253,000; Pittsburgh Fall ANA Signature (Heritage, 10/2011), lot 5100, realized $276,000. 19. XF45 PCGS. Public Auction Sale (Stack's, 3/1986), lot 534; King of Siam Sale (Bowers and Merena, 10/1987), lot 2017, realized $23,100; Broadus R. Littlejohn, Jr. Collection (Schuyler Rumsey, 2/2012), lot 1216. 20. XF40 NGC. European collection; ANA Auction Sale (Superior, 8/1975), lot 1601, which realized $37,500; Arrowhead Collection (Sotheby's, 5/1987), lot 352; FUN Signature (Heritage, 1/2011), lot 5249; FUN Signature (Heritage, 1/2018), lot 5096; the Akers plate coin. 21. XF Details PCGS. Possibly Mike Brownlee; S. Gus and Louise Alexander Collection, before 1993. The present coin. 22. XF. Public Auction Sale (Stack's, 11/1994), lot 1600, realized $35,200. 23. XF Cleaned, per Garrett and Guth. Lilly Collection until 1968; National Numismatic Collection, Smithsonian Institution. XF cleaned, per Garrett and Guth. 24. VF30. D.E.A. and U.S. Marshals Service Sale (Heritage, 12/1988), lot 1377. 25. VF20 PCGS. Alex Shuford Collection (Abe Kosoff, 5/1968), lot 2414; Gilhousen Sale (Superior, 2/1973), lot 860, realized $7,000; ANA Convention Auction (Paramount, 8/1974), lot 973; Central States Auction (RARCOA, 4/1975), lot 105; Eugene Detmer Collection (Stack's, 2/1983), lot 1084; Charmont Sale (Steve Ivy, 8/1983), lot 4387; Auction '85 (Superior, 7/1985), lot 974, realized $21,850; Century Sale (Superior, 2/1992), lot 2944; January-February Auction (Superior, 1/1993), lot 1477, realized $13,750, Dr. John Kardatzke Collection (Goldberg Auctions, 6/2000), lot 1719, realized $21,850; ANA Auction (Stack's Bowers, 8/2011), lot 7753. A. J.H. Townsend; John Nickerson Collection (Thomas Elder, 12/1933), lot 1126. Fine. B. A specimen in the Col. Green Collection, sold to King Farouk via Stack's in 1943 for $135, called "Unc. Mint luster," Palace Collections of Egypt (Sotheby's, 2/1954), lot 180, purchased by Abe Kosoff for 180 Egyptian pounds. C. A specimen in the Baltimore Hoard, Public Auction Sale (Perry Fuller, 5/1935), realized $105 to Samuel Glenn, of Boydton, Virginia (thanks to Len Augsburger for this information). D. J.F. Bell Collection (Stack's, 12/1944), lot 899, realized $320; possibly the coin in number 12 above, per the Eliasberg catalog. Uncirculated, full mint luster. E. George H. Hall Collection (Stack's, 5/1945), lot 2243. VF. F. William Cutler Atwater Collection (Mehl, 6/1946), lot 1338, realized $210; possibly number 12 above, per Eliasberg catalog. Strictly Very Fine, free from any nicks or dents. G. H.R. Lee Collection (Stack's, 10/1947), lot 1777. Strictly Very Fine. H. Dr. Charles W. Green Collection (B. Max Mehl, 4/1949), lot 808, realized $180; Strictly Very Fine. I. Adolphe Menjou Collection (Numismatic Gallery, 6/1950), lot 1957, realized $280. Very Fine. J. Thomas Melish Collection (Abe Kosoff, 4/1956), lot 888. Very Fine. K. J.F. Bell Collection (RARCOA, 4/1963), lot 849. XF obverse, AU reverse. L. Public Auction Sale (Stack's, 6/1979), lot 594. M. Pre-Long Beach Sale (Superior, 5/2001), lot 4170D. AU50 sharpness, Net XF45 due to harsh cleaning on both sides. Described on a tipped-in sheet at the front of the catalog. N. Two specimens reported as sold at private sale in the 3/1977 New England catalog. One in XF40 with a planchet defect sold in 1976 for $30,000. Another in XF45 sold in 1975 for $65,000. O. Another specimen referred to in the lot description of the Cicero catalog (number 5 above) "the miserable cleaned coin in one of our Numisma auctions some years ago." From The Estate of S. Gus and Louise Alexander.